The journeyman has returned to Germany and to the 2. Bundesliga after a year in the States. Emanuel Pogatetz has returned to German football, signing a short-term deal with Union Berlin. The defender has put pen to paper on a contract that will keep him with the club until the summer, and, when that nears its expiration, Union will decided whether or not to extend his stay after seeing his performances in the second half of the current season. A journeyman, Pogatetz joins the club from Colombus Crew in the USA, enjoying just a year in the MLS, where he moved to from Germany two seasons ago, leaving 1. FC Nürnberg. Speaking to Union's official website about his new signing, manager Sascha Lewandowski described him as a player who "is very good in the air and in a tackle." He is pleased to have signed someone who can "make [the team's] defensive line more stable," calling Pogatetz "an old-fashioned" and "clever" player will who certainly "help" the cause, especially at the back. Hanging just six points above the relegation play-off spot - a position currently occupied by SC Paderborn 07 - Union are sliding into trouble and Pogatetz can bring them the experience they need to steer clear of it. The 32-year-old has more than enough experience of the top flight, which can no doubt help in the second tier. 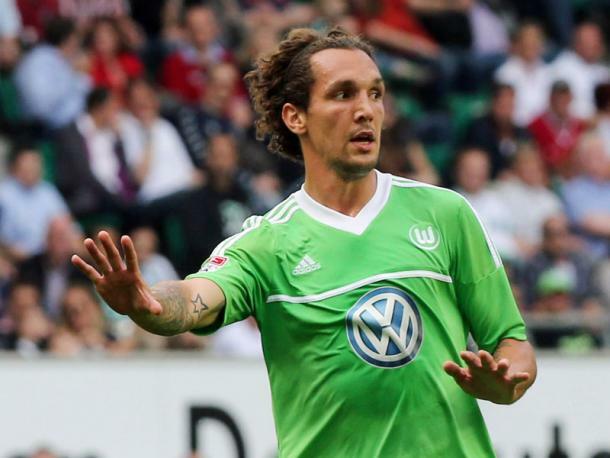 Having spent four years at Bayer Leverkusen, a further two at Hannover 96, and one year stints with both VfL Wolfsburg and Nürnberg, Union will be thrilled to have acquired a man like him to bolster their back line. With them having conceded 30 goals in just 19 2. Bundesliga games, they will need his ability in defence too, hoping to shake off the fact that they have the fourth-worst defensive record in the divison in order to avoid the drop.